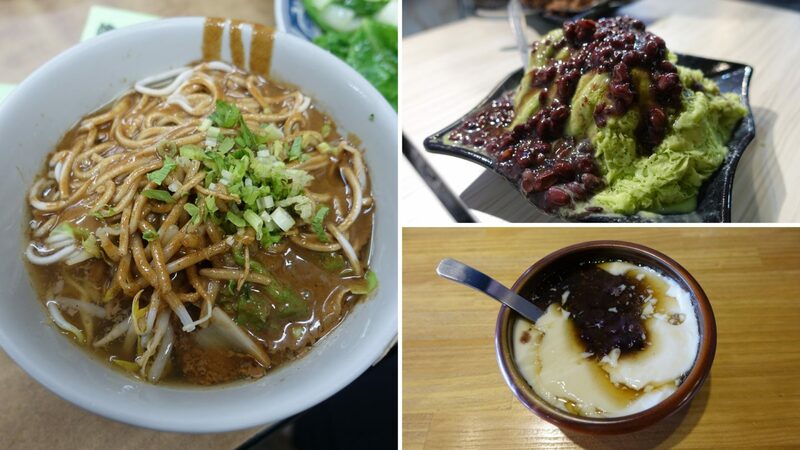 Taipei is an amazing city and this post is all about vegan food in Taipei. There is an abundance of vegan options, all it sometimes takes is a little research. As always, I strive to support places that are affordable by local standards and this post is no exception. For more of my vegan food posts click here. This is hands down my favorite restaurant in Taipei. I stumbled upon it on HappyCow and couldn’t wait to check it out. Xiu Yuan Su Shi is a small and extremely busy vegetarian restaurant in the heart of Taipei. They have a huge menu in English and most mains are between NT$ 40-75. 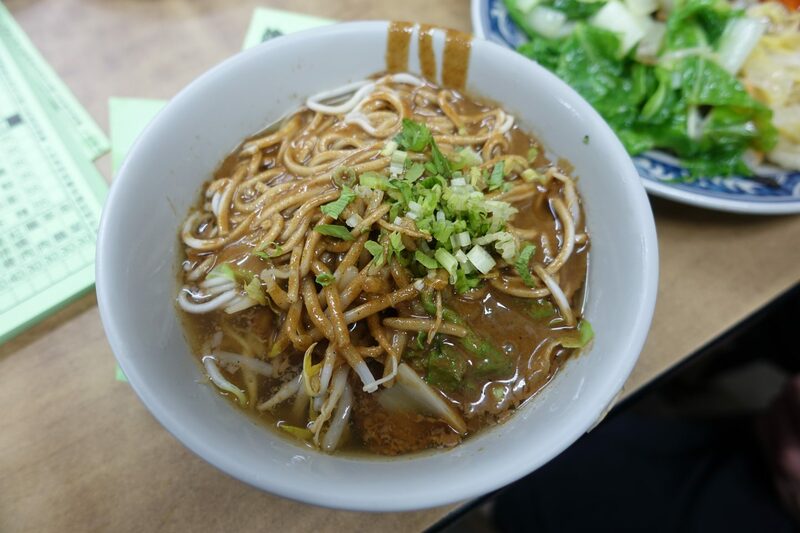 Try the Traditional Taiwanese Style Sesame Noodles for NT$ 45. I went to Xiu Yuan Su Shi multiple times and this is by far my favorite dish! For more information and photos check out my in-depth review here. Vegetarian Seeds is a small local restaurant with a great selection of local dishes. They have a great variety of food and most dishes are between NT$ 40-80. 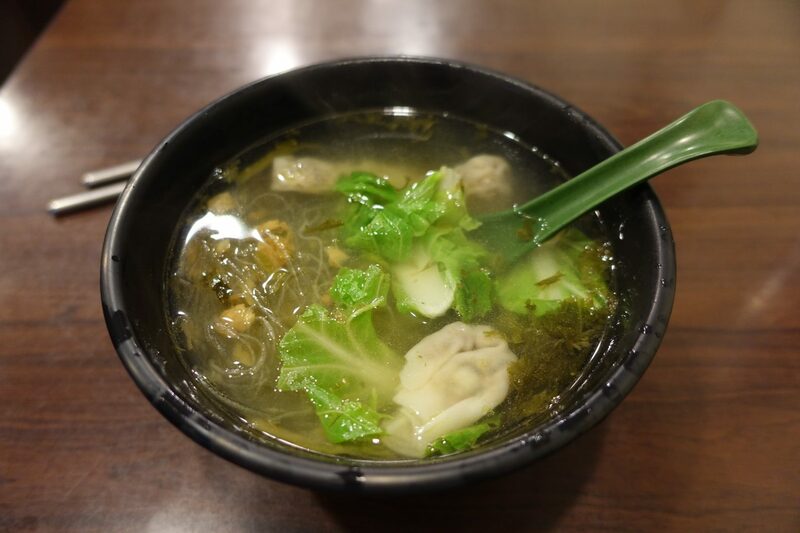 I ordered Glass noodle soup with veggie wonton for NT$ 60 and really loved it! If you are looking for a low-key restaurant then I highly recommend checking it out. If you love dumplings as much as I do then you definitely need to check out Shang Ding Huang Jia. The stall is next to Xiu Yuan Su Shi and sells vegetarian dumplings and buns. They offer a great variety of dumplings and each one is NT$ 12. If you are looking to grab a snack or just happen to be in the area, definitely stop by! Head to Happy Cow for heaps of reviews of this place! 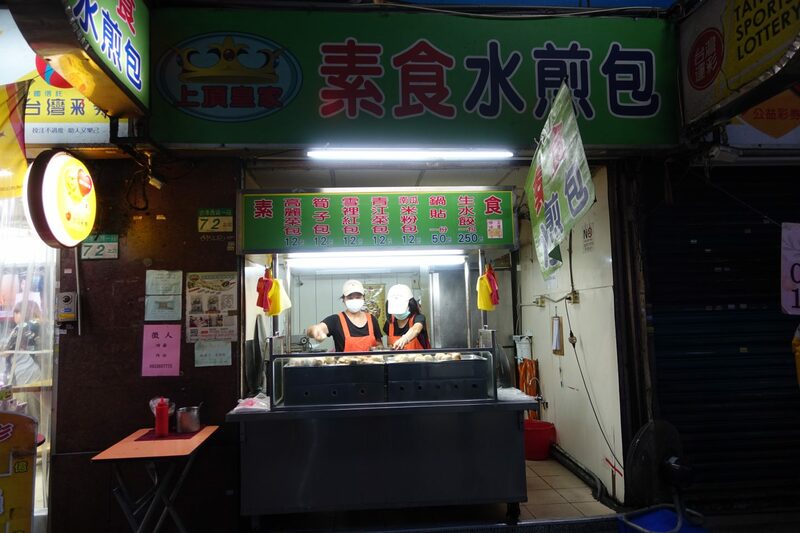 This is my favorite place to grab steamed vegan buns in Taipei. 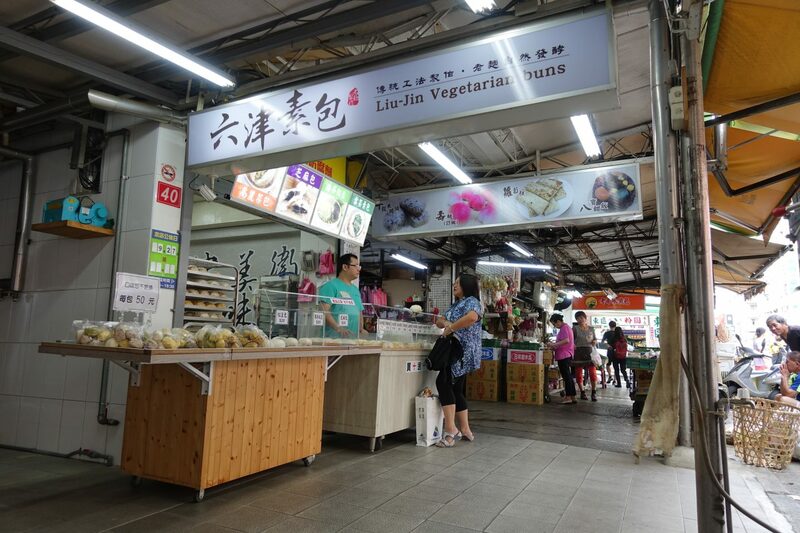 Liu-Jin Vegetarian buns has a huge selection of steamed buns and offers sweet and savory ones. It’s worth noting that their buns are huge, incredibly filling and most of them are NT$ 20. My favorite is the one filled with sesame. For more information and photos check out my review of Liu-Jin Vegetarian Buns. I greatly enjoy Taiwanese desserts and the ones listed below are the ones I highly recommend trying. Baobing is a dessert made out of shaved ice with various toppings. It’s oftentimes made with condensed milk and if you are vegan then I highly recommend having a have a V-card at hand. You can find Baobing literally everywhere in the summer months and my favorite places selling it are at the Lehua Night Market. There is a cafe with a huge Baobing menu that you really can’t miss. Douhua is a Chinese snack that’s commonly referred to as tofu or soybean pudding. 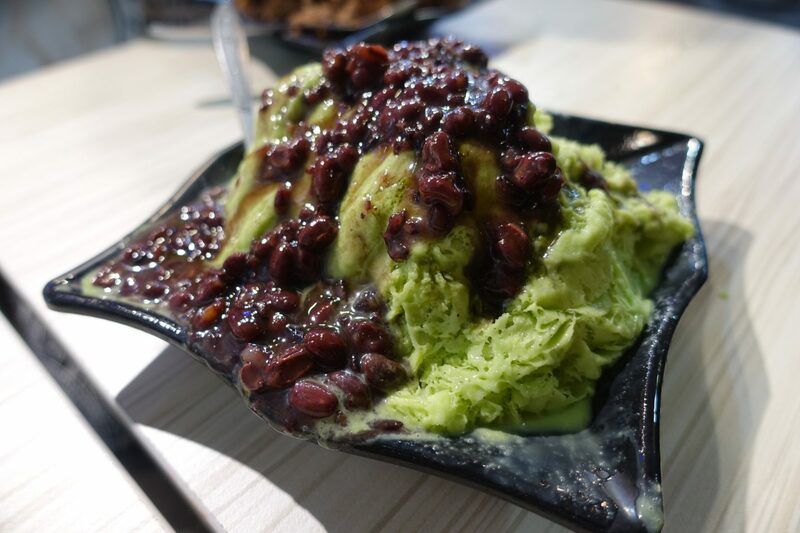 In Taiwan, it usually comes with peanuts, red bean, oatmeal, tapioca or mung beans, and syrup. 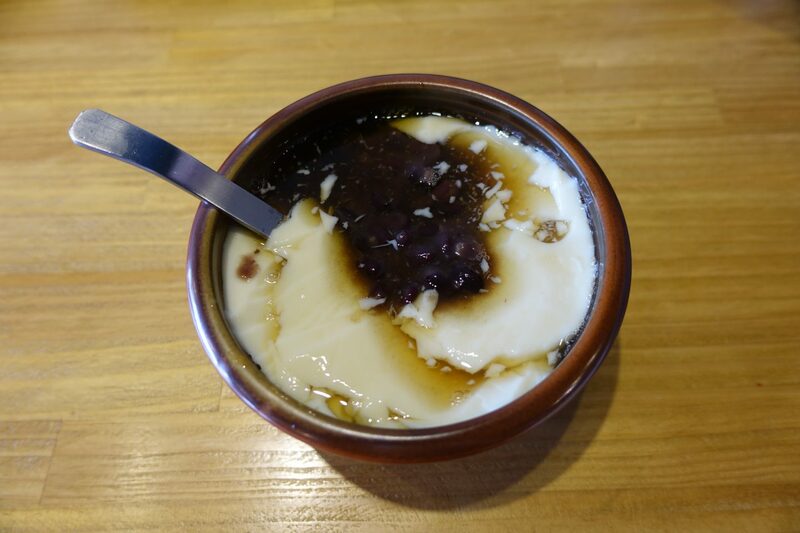 逗豆舖 specializes in soy pudding and has a great variety. If you are thinking of giving it a try then this is the place I highly recommend going to. 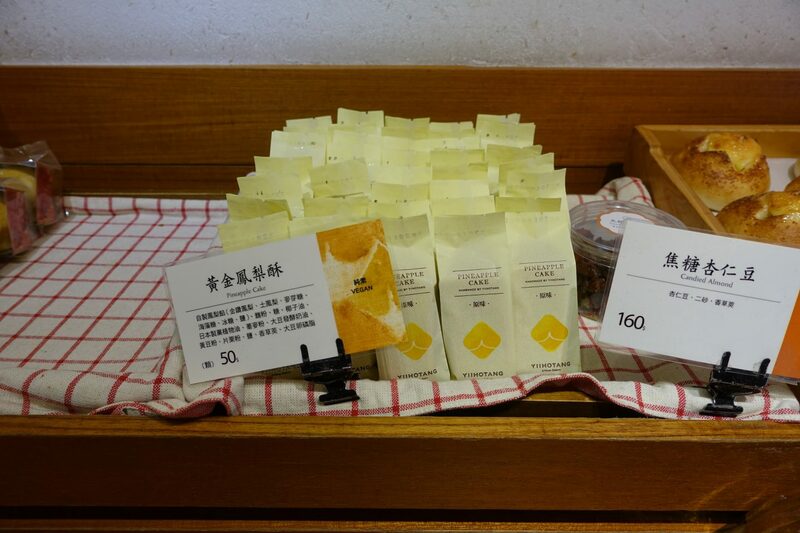 Most of their soy puddings are around NT$ 50. It was a recommended to me by someone from the Vegan & Vegetarian Eating (Taipei) Facebook group. Bubble tea is a Taiwanese tea-based drink that usually contains tea, milk, and sugar. More often than not toppings such as chewy tapioca balls and puddings are added to the mix. There are heaps of varieties of bubble tea and there’s something for everyone. 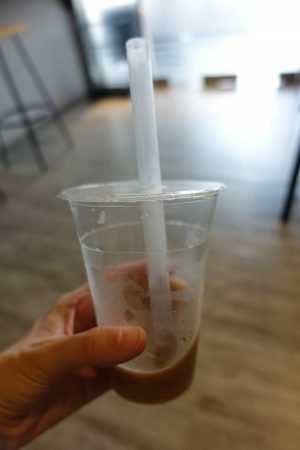 Besides soy pudding 逗豆舖 also offers bubble tea. They have a handful of different once for roughly NT$ 40. Unfortunately, their bubble tea comes in a plastic container with a plastic straw. The minute I found out about this place through Happy Cow I knew I had to go! BeiMen Feng LiBing (北門鳳李冰) is a shop that’s specializing in sorbets and ice cream made out of local ingredients. 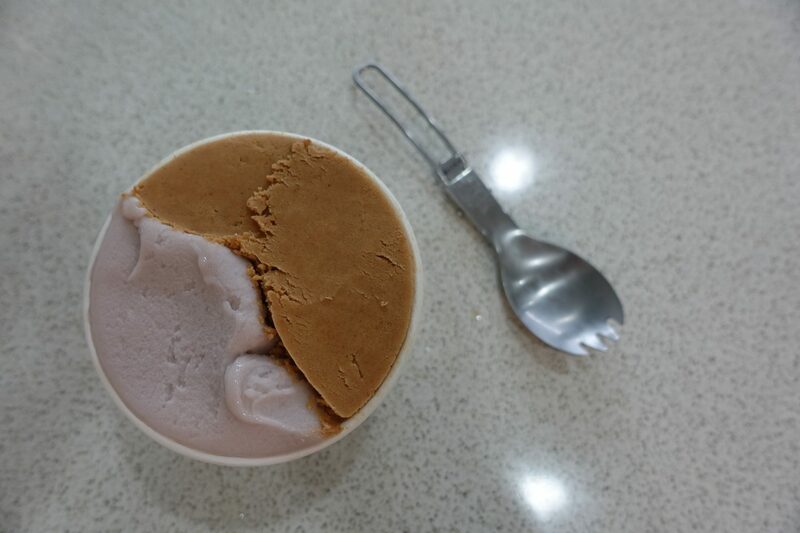 I tried Taro and Peanut and it was freakin’ delicious! The decent sized container that I got was NT$ 50. For more mouthwatering photos and a detailed review of BeiMen Feng LiBing click here. Pineapple cake is a traditional Taiwanese pastry that usually contains butter and egg. I really wanted to try it and was thrilled when I heard about Yiihotang. Yiihotang is a vegan-friendly bakery with three branches in the city. All their pastries are clearly labeled and at the branch that I went to roughly 50% was vegan. If you are keen on trying a vegan pineapple cake, definitely check out Yiihootang. Their pineapple cake is NT$ 50 and although their pastries are on the pricey side and plastic packaging is used, I highly recommend checking it out. Want to visit their all vegan branch? Head to 323, Fuxing North Rd, Songshan District, Taipei, Taiwan and check out their reviews on HappyCow! 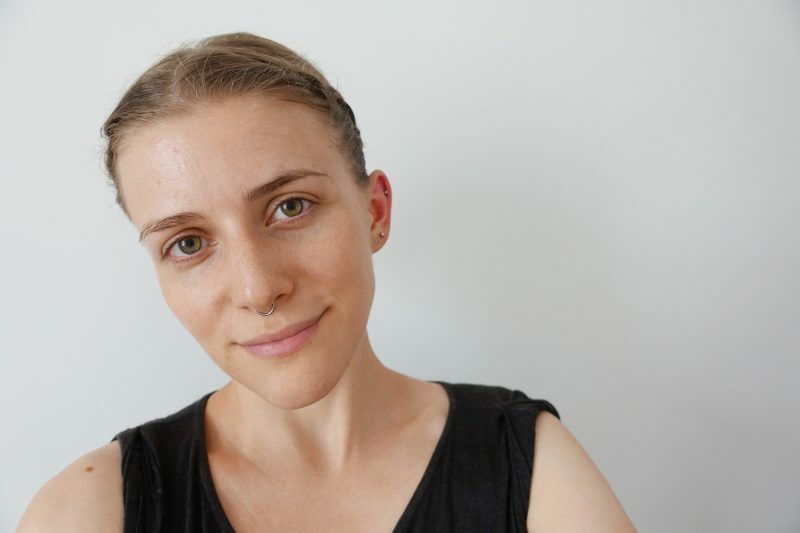 The iVegan supermarket is a store that only stocks vegan products. They stock heaps of different things and what really blew me away is their huge selection of unpackaged fruits and vegetables. It’s amazing! If you are looking for local specialties, fruits, vegetables or frozen mock meats then I highly recommend stopping by. Unfortunately, according to a handful of reviews on Happy Cow, their personal care products appear not to be cruelty-free. For a detailed review and lots of pictures of iVegan supermarket click here. 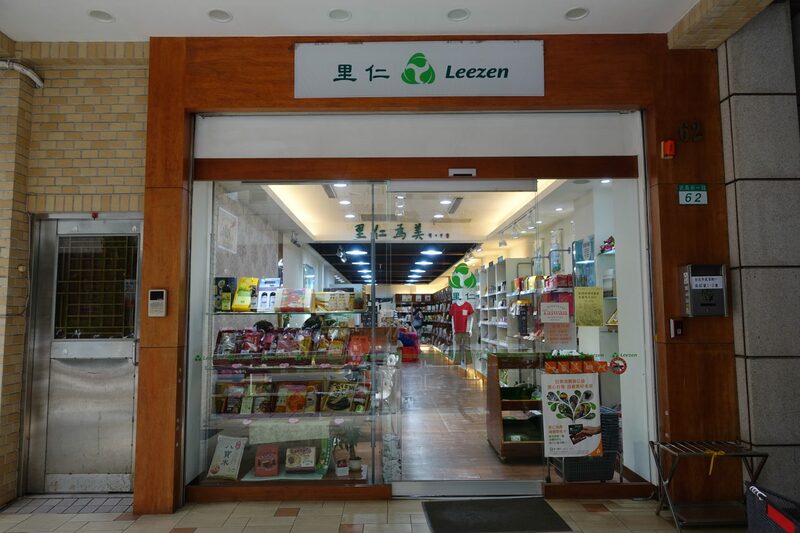 Leezen is a small chain of health food stores with a handful of stores in Taipei. They have body care products (soap, tea tree oil, lip balm, etc. ), organic clothing, frozen foods and a moderate selection of packaged groceries. Pro tip: If you love peanut butter as much as I do, get it at Leezen. They stock peanut butter for less than NT$ 100 that “only” contains peanuts, salt, and (ugh!) sugar. 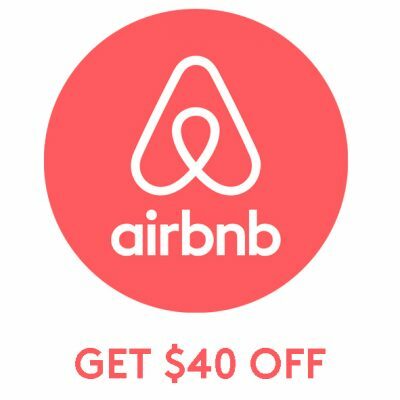 I highly recommend looking for restaurants on HappyCow. If you need local advise then the Vegan & Vegetarian Eating (Taipei) facebook group is a great source. If you don’t speak Chinese then I highly recommend carrying a V-card (just search for Chinese) around. V-cards are tiny cards that you can either print out or download and save on your phone. I, of course, recommend the latter (let’s save those trees!). They also have an iPhone app with which you have all the translations in one place. Vegan ice cream in Taipei? Yes, please! 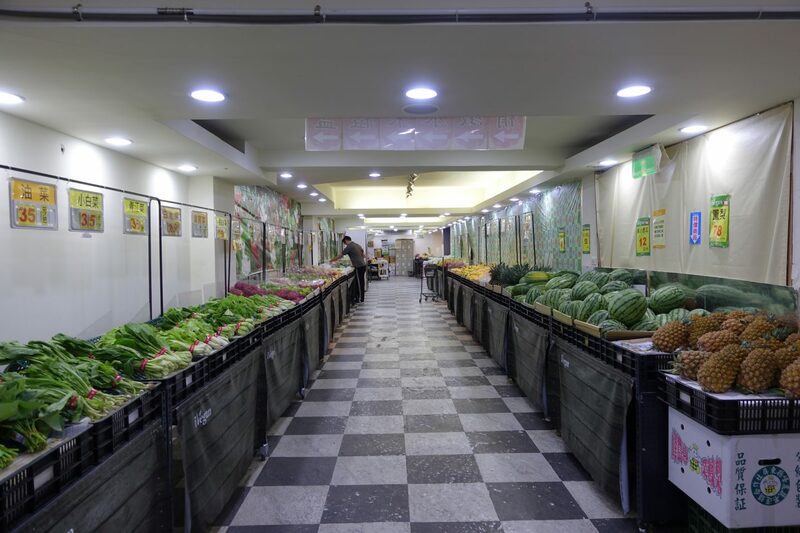 iVegan supermarket, a vegan grocery store in Taipei!